[Giveaway/Contest] for 10 licenses of Acronis True Image 2019. Discussion in 'Giveaways and Contests' started by sid_16, Oct 18, 2018. I would like to thank Acronis for sponsoring these 10 licenses for Acronis True Image 2019. Each license can activate up to 5 PCs and it gives you 1TB of cloud storage free for an year. The Giveaway of A T I 2019 will start from 20th. October and end on 15th. November. Back up what you want, how you want with tools like full image, file/folder-level backups, active disk cloning, event-based scheduling, non-stop backups, and a boot media builder. Know everything about your backup at a glance. Track the status of backups, see file sizes, and measure backup speeds, and view color-coded displays of the type of data stored. 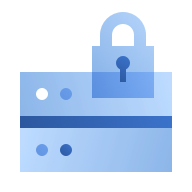 Control where you store your data, whether it’s locally on an external hard drive, network folder or NAS device, off-site in the cloud, or a combination to ensure total protection. Safeguard your data regardless of where it lives with a solution that supports Windows, Macs, iOS and Android devices, as well as virtual machines and social media accounts. Get the only backup solution with an artificial intelligence-based defense against ransomware, which actively detects, stops and automatically reverses the effects of unauthorized encryption. The need for data privacy and security is greater than ever. Acronis True Image incorporates innovative technology to make sure your data is for your eyes only. Hide your data from prying eyes while it’s in transit, in the cloud, or on your local desktop using password-protected AES-256 encryption. Put your off-site backup in the secure Acronis Cloud. Our data centers are SSAE-16 and Tier III certified to ensure security and availability. Create a unique, blockchain-based “fingerprint” so you can confirm a file is authentic and unchanged. Only available with a Premium Subscription. Protect everything to recover anything with a mirror image of your system disk or a selected partition. In the event of data loss, you can easily recover whatever you need – from your full system to an individual file or folder. Prevent ransomware from encrypting your files, infecting your network, or crippling your system with Acronis Active Protection 2.0, our artificial intelligence and machine learning-based technology that detects and stops ransomware, and automatically reverses its effects. Create an all-in-one recovery tool on an external drive that contains everything you need to restart your system, including the required boot media and full image backups of your entire system. Free up disk space by reviewing the backup files you have, manually selecting unnecessary versions, and deleting the files you no longer need. Gives you total control over your backup storage and versioning. Plug in an external USB and automatically begin backing up your data. If you prefer to use external USB drives as your backup destination of choice, this new event-based scheduling option simplifies the process for you. Make an exact replica of an active Windows or Mac system without having to stop and restart. From the operating system and programs, to files and preferences, it’s the easiest and most reliable way to migrate all of your data to a larger or faster disk. Easily create boot media so you can recover your system to the same or new hardware. Create WinPE boot media to quickly resolve driver configuration issues and configure network settings. Use the Simple mode default or customize your preferences in Advanced mode. Test programs and settings, or run your system as a virtual machine by converting full image backups to a virtual hard disk format. For Mac users with Parallels Desktop 14, the 2019 edition uses a native API to back up VMs so they are recovered as a set of immediately bootable files. View the status of backups, file sizes, backup speeds, and number of backup versions. You’ll even see color-coded displays of how many photos, videos, music and documents are available to restore. Schedule times, configure destinations, and select from full image, incremental, differential or custom backup types. Control your backup by selecting individual files and folders when you don’t want a full image copy. Easily restore your current system to new hardware with our bootable media and driver injection technology. Keep working, playing or surfing: backups run in the background without affecting your computer’s performance. Monitor potential threats, identify blocked activity, and approve trusted applications so they run uninterrupted. Create incremental and differential backups up to three times faster with technology that tracks image changes in real time. Secure your backup using superior AES-256 encryption, whether your data is on-site, in transit, or in the cloud. Safely test new software, drivers, system updates, and more knowing you can easily revert to your previous configuration. Free up disk space by moving large or rarely used files to the cloud or a local drive, while retaining easy access. Create a unique “fingerprint” for your data with Acronis Notary to confirm a backup’s integrity. Available in Premium Edition only. 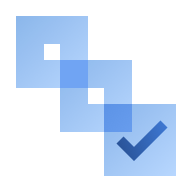 Capture electronic signatures on documents with Acronis ASign to verify file authenticity. Available in Premium Edition only. Maximize your protection by backing up locally for fast recoveries and storing a copy to the cloud for off-site security. This powerful combination perfectly embodies the 3-2-1 backup strategy. Connect to the cloud quickly. Our improved file-to-cloud format boosts the reliability and performance of cloud backups for both Windows and Mac, making off-site cloud backup faster, easier and safer than ever. Retrieve any file or folder you need from your Acronis Cloud Storage backup from any computer or mobile device, and manage any backup plan on your account, all through our web-based console. Select the data center nearest you to ensure the fastest connection and meet any regulatory requirements. All our locations are SSAE-16 and Tier IV certified to ensure security and availability. Pick how many versions of your backup you want to keep and how long you keep them. Unlike other backup solutions, we let you decide. Don’t let hackers, accidents or errors delete your photos, contacts and memories on Facebook or Instagram. Sync files between computers or in the cloud, so you can have the same files on multiple devices. To make a valid entry every participant must comment on "why do you need a free license of Acronis True Image 2019 or which feature/s of ATI 2019 do you like the most?". Only one entry allowed per household. You must use your real IP address to enter the giveaway. If you enter the giveaway using a proxy or VPN then we will assume that you've got other accounts here, so your entry will not be counted and you will be disqualified. If you're a winner and you don't respond to your private message within 4 days then someone else will be selected. You only need to post once. Any other posts will be deleted. If you don't want to enter the competition then don't post in this thread. This giveaway starts on the 20th. October and ends on 15th. November 2018. Winners will be randomly selected using RANDOM.ORG on the 16th November 2018 (all time is GMT+5.30). Be sure you've got your private messaging enabled as that's how you'll be told if you're a winner. If you agree with the above rules then you're welcome to enter. This giveaway/contest is open for participation. I'd like to enter for a chance to win the best backup software available, so sign me up for Acronis True Image 2019. Why choose Acronis ? I've been testing many backup soft and finally kept this one for its reliability, efficiency and easy-to-use interface. The product comes with other very useful features. Finally I thank sid_16 for the giveaways I participated in several times and I was lucky to win some. Good luck to the other participants. 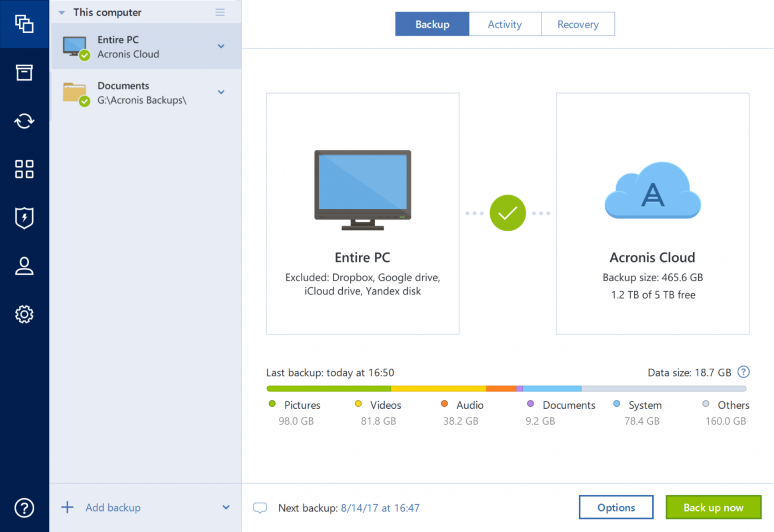 Acronis True Image 2019 is a great program to create backups and restore the system in the event of a breakdown. Practically every major update of W10 causes problems and therefore I need this amazing program. Acronis True Image 2019 is in my view the best program to make a backup of your system hard drive. If PC has problems I can restore my system with the backup. Acronis also has an easy-to-use interface. I'd love to try Acronis True Image 2019, as I've been using EaseUS ToDo for a while. I have been Acronis Trueimage user since it first came out, have tried various other backup software but still stay with acronis still on version 2016 so thanks for the opportunity to win licence for 2019 . That's sooooooooooo cool!!! Please count me in on this GA.
Acronis TrueImage is a fine backup software. Version 2019 Gui is more user friendly. License would cap off a great software. I have another backup software but it has issues on WinPE boot ISO. I'd like to have a copy of Acronis 2019 as the WinPE based boot ISO has the ability to backup to a partition that was formatted with Windows 10 ReFS file system. My favorite features are: Backup to Acronis Secure Zone, Entire machine backup, Active Protection, Archive encryption. This is a great software and I'd love to have a license for it. I need a free Acronis True Image 2019 license to back up my data with encryption protection. This program is well established during the previous subscription. - Backup data, individual files and folders - both in the cloud and in local storage and on external media. - Large amount of cloud storage (Acronis Cloud) per 1 TB. - Acronis Active Protection - protection against cryptographers. I would like to win because in my opinion this is the best backup solution. I wouldn't be able to purchase a license for the full version. So please count me in.